The first story in a collection usually sets the tone for the entire anthology, so a little sad that I didn't care for The Price of Survival. It was a little too science fiction-y for my tastes. 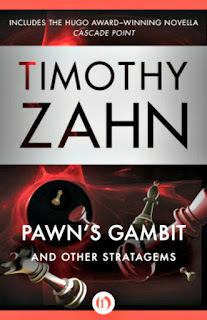 Thankfully, the rest of Pawn's Gambit was more to my liking! The Final Report on the Lifeline Experiment was an interesting take on the when-does-life-begin question. And I really loved the ending, which I didn't see coming at all. Love when that happens! One of my favorite stories was Clean Slate, about a wizard trying to earn his title without falling victim to the Wizard's Curse. What is the Wizard's Curse? The price that the wizard must pay for the privilege of using his power. Never heard of such a curse, but loved it! Some of the other stories that stood out for me were Protocol, Old-Boy Network, Proof, Trollbridge, and Pawn's Gambit. All different types of stories, but all original and interesting. More than a few of them had a neat little twist at the end, which I really enjoyed. Seems most of my favorites had a twist of some kind, so guess I like twists! Even the stories I didn't particularly care for were well-written, so the author is obviously talented. Short stories are tricky, as you have to pack a lot of punch into a small space. Zahn proves himself very good at this! While I'm pretty sure that this was my first Zahn book, it definitely won't be my last! I'm more of a fantasy reader than science fiction fan, but it looks like I still have plenty of options. Any Timothy Zahn fans out there that can recommend a good place to start? A writer that can get you invested in characters and plot in a shorty story is very talented, indeed! I know! I love short stories, but they seem to be really hard to write. 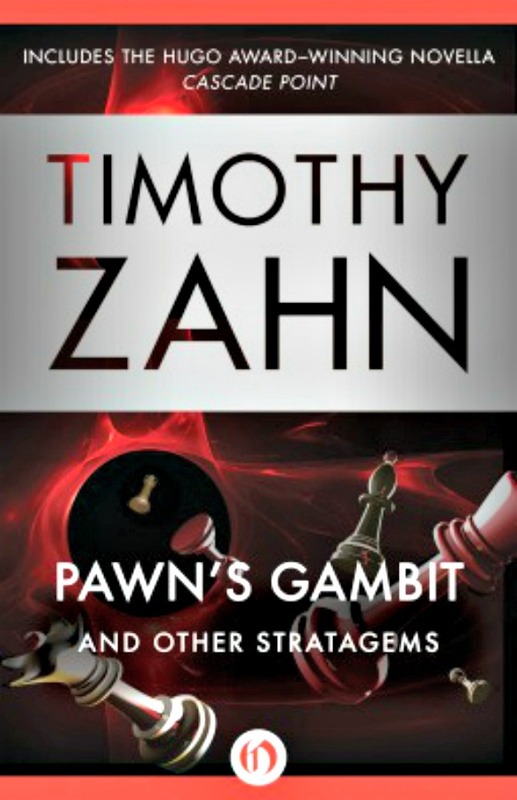 So glad I was given this review opportunity, as Zahn is an incredibly talented writer! I haven't read this author yet, but am planning to. I love how Open Road Media has a thing for putting some older pubs back in our hands. I really enjoyed this collection, so looking forward to reading some of his full-length works! Bookmark Monday: Hero or Villain?